I loved Jana's post the other day about growing up in the 80s even if I didn't have a lot of the same memories. She suggested I do one, so this isn't quite a copy cat, is it? It's ok if it is, I dig it. By the by, I had totally heard of Oregon Trail before. Self five. So, what was it like growing up in Australia from 1987 - 2012? Why, since you asked... Prepare yourself, it's a long one. I watched the smurfs & gummi bears and totally knew all the words, and both theme songs may or may not be on my ipod. Also on the regularly watched shows were Round the Twist & The Genie from Down Under. I mean, have you ever felt like this? When strange things happen.. are you going round the twist? 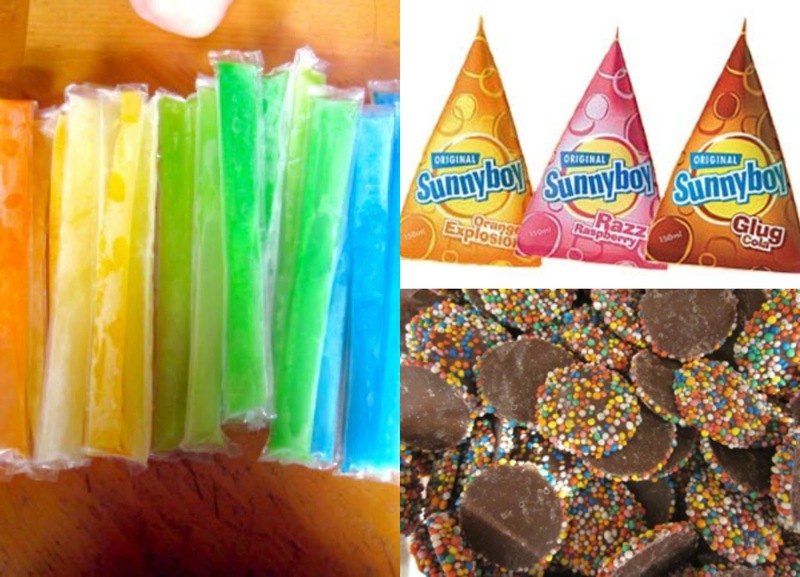 I got 50 cents each Friday as 'pocket money' and I spent it at the tuckshop on either zooper doopers, a glug or some freckles. Of course, first you had to lick the freckles and stick them on your face so you had colourful marks all over your face. That's not weird. I made worms with vegemite, butter + vita wheats. This is still how I figure out which way is which. Because really, who would eat soggy weetbix? ew. These are the only snowballs I ever saw. And gosh they were yummy. I ate a lot of smarties. I was a serious badass at the skipping rope, and elastics. I always got to school early to play handball. I was better than Kruddy. And I never ate my earwax.. ew. 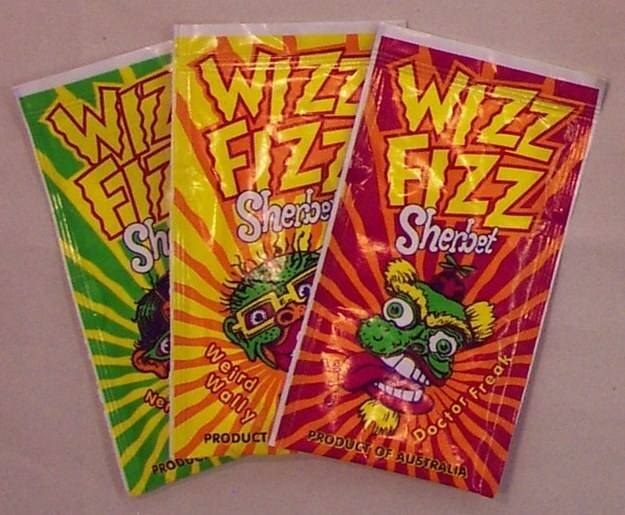 Oh ma gawd, wizz fizz was the best! 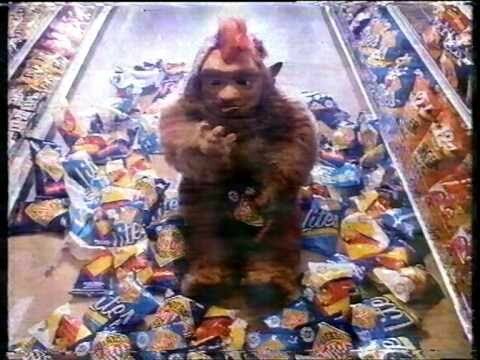 Because of the gobbledok, whenever I am eating chips (not hot chips, potato chips) I have to say 'CHIIPPPPIEEEEESSS'. If I forgot my lunch (which was hardly ever) a sausage roll or meat pie from the tuckshop had me sorted. In high school I tended to go for hot chips and gravy. Not too much gravy, mind. Don't want soggy chips. Every Saturday morning my brothers and I woke up to watch Rage. And then Saturday Cartoon Connection.. with Agro. And then we had to rush around so mum could get us all to our games; football (older brother), netball (me) and soccer / football (little brother). 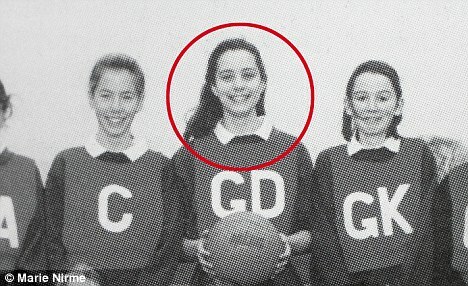 I was pretty badass at netball, mainly because I was so tall and lanky. Kate Middleton and I totes played the same position, yo. Mainly because Neighbours and Home & Away weren't on. Fairy bread was a given at all birthday parties. Except when they were held at the local Maccas, which was ok because you got to walk with the party person into the back of the restaurant and into the freezer to get the ice cream cake that you would be eating (they stopped doing that before I started working there). 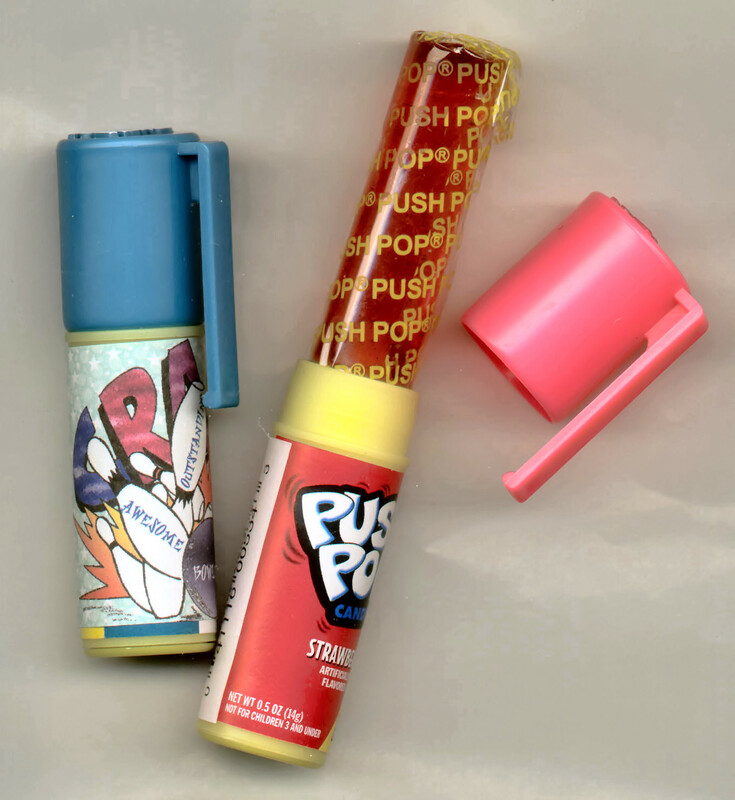 'Don't push me, push a push pop' was the lamest thing ever but you still said it whilst eating one and pushing your friends. 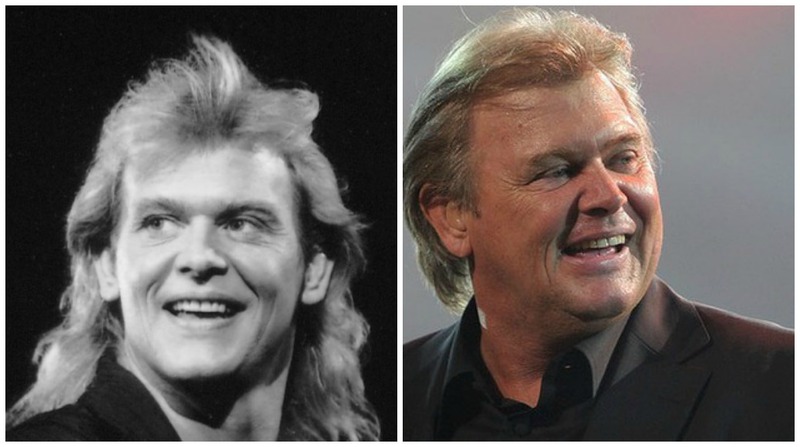 Johnny Farnham was always retiring. And everyone knows the words to Sadie, the cleaning lady, with her trusting scrubbing brush and pail of water.. much to poor old Johnny's chagrin. I learned everything about life from a giraffe named Harold. Healthy Harold. What I didn't learn from Harold, I learned from Play School. I thought my toys and such came alive after I left the room well before I saw Toy Story. 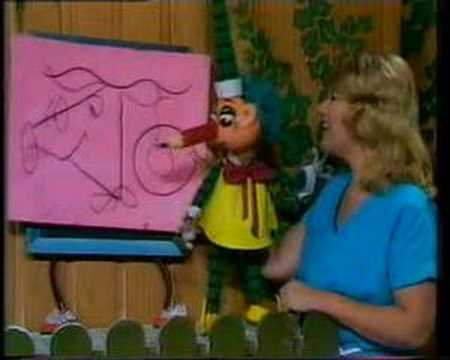 Mr Squiggle was like, the coolest thing ever. You'd sit there trying to guess (screaming at the TV) what he was drawing and then tried to draw with a pencil up your nose. The only koala I ever liked was Blinky Bill. Ok, I liked Nutsy too. The ice cream of choice was bubble o bill because you got bubble gum as well. 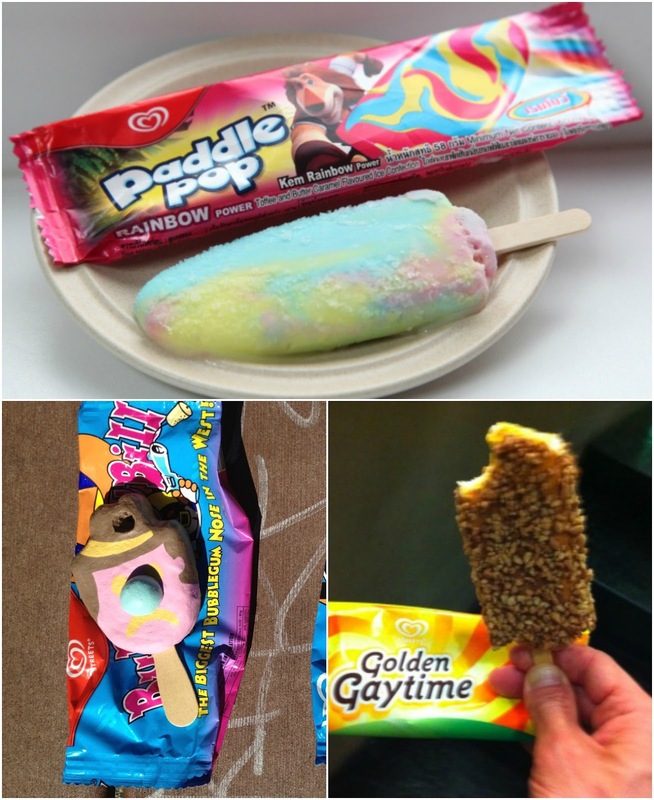 Paddle pops were good, but only when you were collecting paddle pop sticks for something, and golden gaytimes are my faves now. I never forgot my hat, because then I couldn't play during little lunch or big lunch. 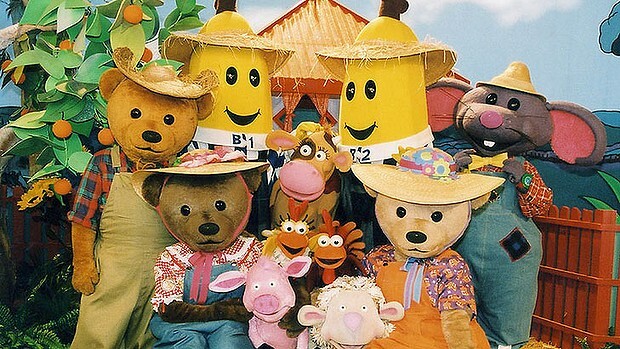 Banana's wore pajamas. And chased teddy bears. While the teddy bears weren't being chased, we were having picnics for them. I talked like Kylie Mole, because I wanted to be like Kylie Mole. You know you know you know? She goes she goes she goes.. My mum banned chewing gum from the house after that phase. 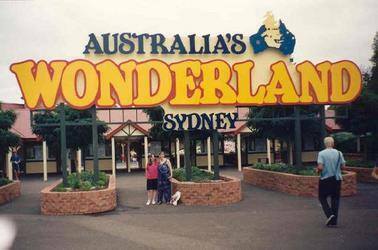 We went to Wonderland almost every weekend, all year, to get our money's worth for the annual passes. And this absolutely broke my heart in 2004. I ate coco pops for breakfast most mornings, pretty much always singing the song along with it. 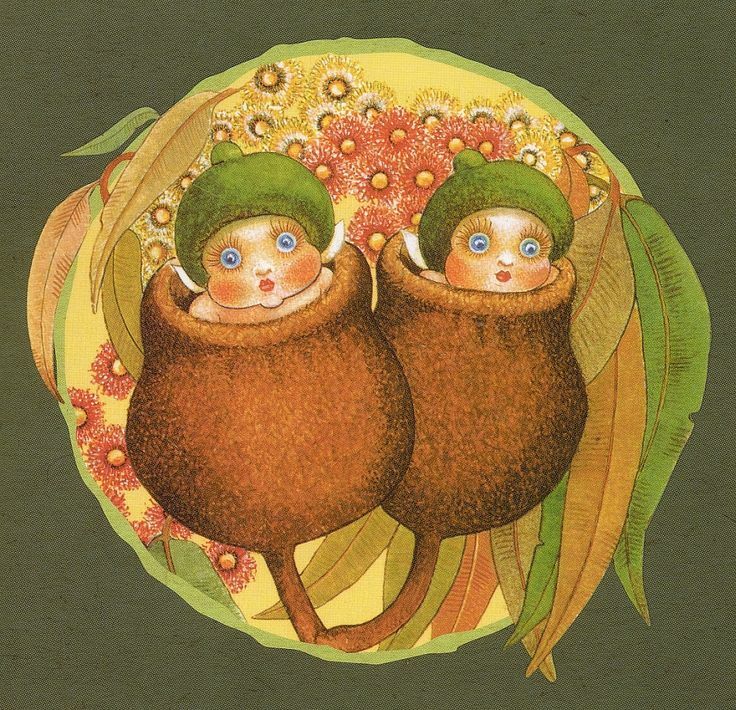 The only babies I liked were the gumnut babies. I wanted to name every pet Snugglepot or Cuddlepie. And we sent letters to Santa every Christmas. Any similarities between my childhood and yours? 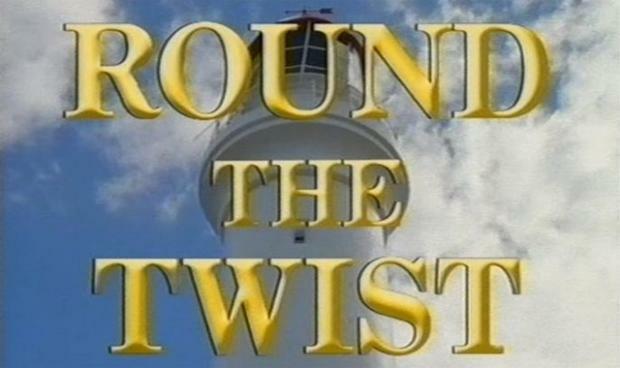 Er yes, Round the Twist was bloody brilliant! The theme tune gets stuck in my head everytime! Paddle Pop, Push Pops, wizz fizz, oh the memories! 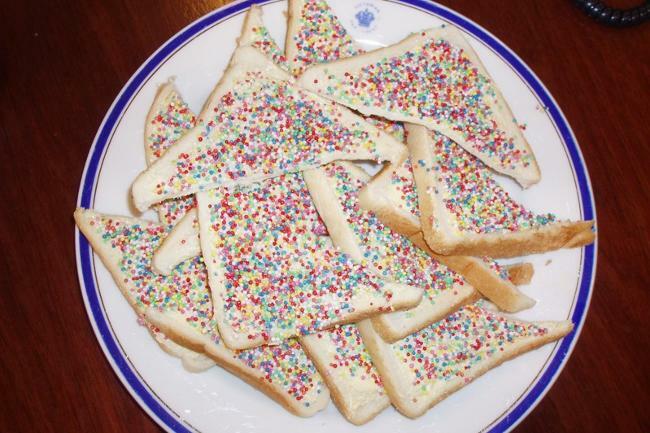 I am not gonna lie though, fairy bread looks all manner of wrong, sometimes you Australians take things too far haha! I think I might have to steal this post idea! ooh, I was brilliant at the elastic band, I still remember most of the set-ups and routines we had too! There's actually a few similarities I noticed. This is a really fun post! I love this! It's so interesting to see the memories someone from another country has from growing up. :) While I can't relate to most of these, I did watch the Smurfs and Gummi Bears! I loved those shows. Omg i love this post!!! It's so interesting to see the differences (especially in the food!) awesome post idea girl! Oh wow!! I think the biggest difference is the food for sure - although perhaps some of the things were the same and we just referred to them differently!! And the shows - ok I didn't watch any of those shows growing up LOL! How fun is it going to be for you raising your kids in America and to see just how different their upbringing will be compared to yours! For directions we used "never eat soggy waffles" or "never eat sour watermelon." I use both interchangeably. I haven't heard of almost anything you mentioned. Now I feel the need to try everything, especially those delicious looking ice-cream pops. 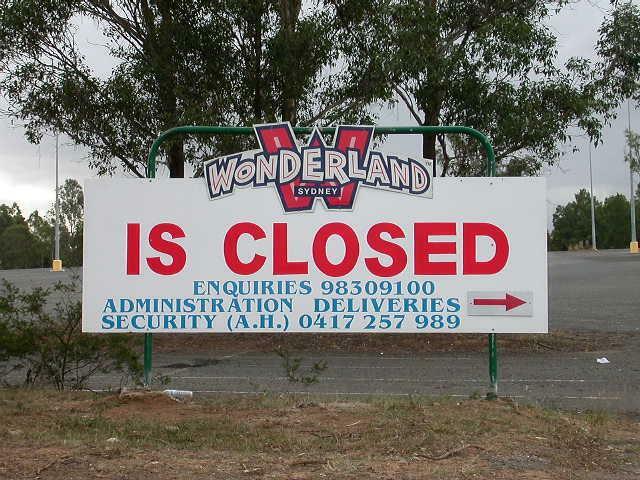 How sad about wonderland? I'll never be able to go. What on earth is a gumnut baby?? Lol!! 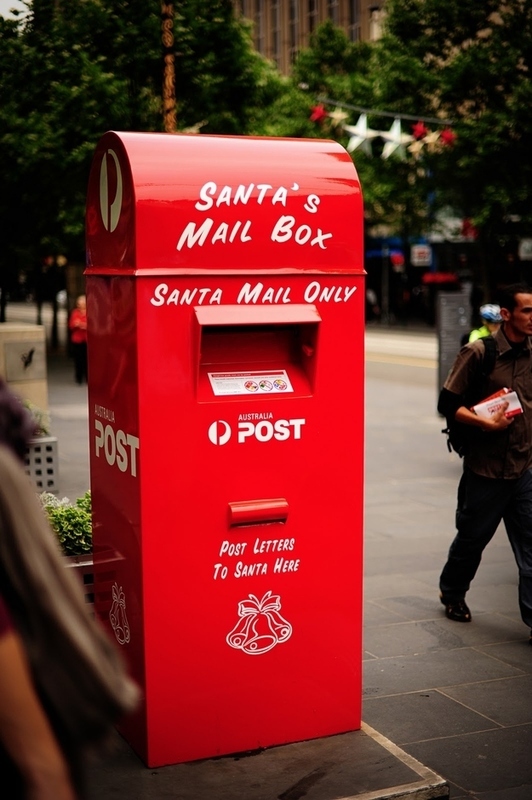 I like the mailbox that is only for letters to Santa. We should totally have that here--kids would get a kick out of it. Oh my gosh, I don't know what any of these things are hahaha - except of course the bananas in pajamas (that song was the worst for getting stuck in my head!) and the push pops too. Very interesting though! I love reading posts that list a bunch of great things from the 80's or 90's.. so fun! LOL so funny about the Wheetbix - I remember using "Never Eat Shredded Wheat" I have noooo idea why that was the term, maybe because it rhymes? 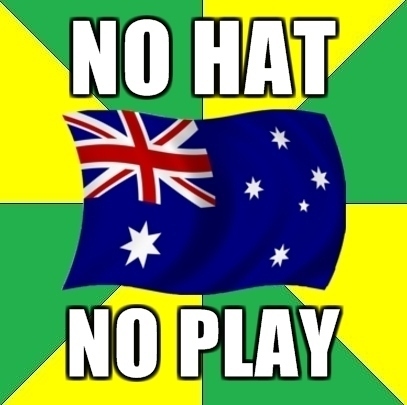 LOL So I totally just read your entire post with my Aussie friend and she was freaking out over everything you posted! She's going back to Australia in December and she started making a list of foods you had on here that she wants to get when she gets back LOL! Love hearing about all the things that made your childhood so awesome! You need a "translation" (for lack of a better word!) alongside this. It's so interesting! 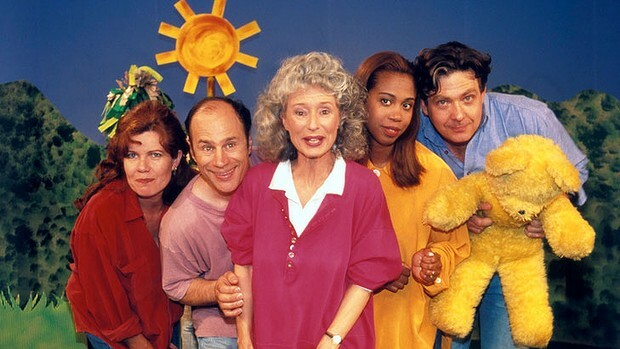 I think I remember the blue koala show - didn't it live in a tree outside a little girl's window or something? Wizz fizz doesn't sound very appealing (at least in America) but I bet elementary-aged kids loved it, ha. Super cute post! I'm sure it was fun reminiscing all these memories. I'm not familiar with 95% of it but I loved smarties and push pops! This is fantastic! I feel like I learned so much about you and Australia in general! 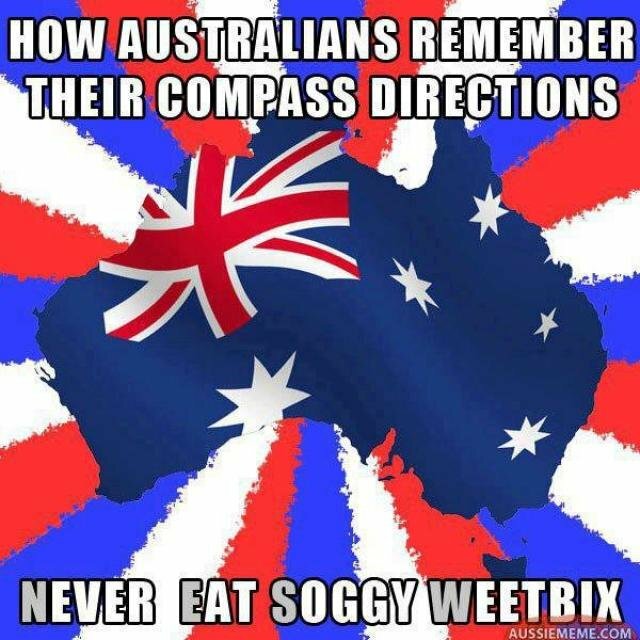 haha I definitely still do the "never eat soggy waffles", not sure what weetbix is though! And what is fairy bread?! I didn't understand any of this except for the jump robe and push pops. This is all so cool to see into your world. I want fairy bread. it is just bread with sprinkles on it? When you have kids, you totally need to keep some of these traditions alive. Gravy on fries?.... those 'worms'? what a fun view into your childhood!!! OMG, the Gummie Bears! By far the most underrated children's show! And push pops all the way, sticky fingers and all! I agree with Lauren....translation please! Haha! JK.I love seeing what other people grew up with! I watched the Smurfs and had push up pops too! I didn't (and still dont) like chocolate cereal. 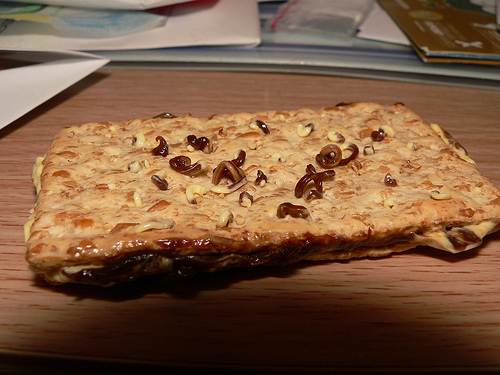 I was a weird kid that ate Crispex and still do. Omg so crazy how different stuff is over there because I have never heard of any of this hahaha!! Well definitely the smurfs. Dying over that fairy bread even though it sounds kinda gross hahaha!! Haha! Gummi Bears and Push Pops are about our only similarities! 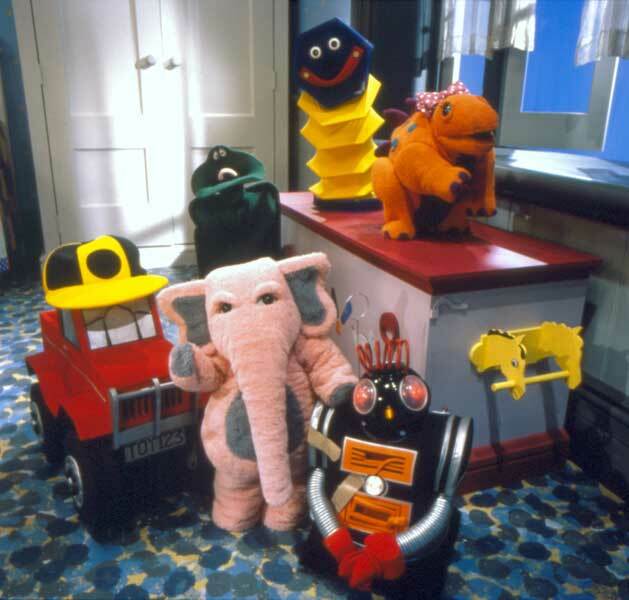 You had some seriously creepy puppet things in your shows. OMG! Yes to everything! <3 I totally love this! Blinky Bill was my fav! hahaah I love this! I have never heard of most of it but it has me laughing so hard! hot chips!!! This post is so freaking cool. I love how different your childhood was yet so similar. Even though the things themselves were different, they're the same concepts--cartoons, candy, favorite shows, sports, amusement parks. I love it! Also, big lunch and little lunch? Yeah, I think the US is missing out on something by not having this. My head is exploding with all the new things!! Some of the food we had too but we totally called it something else. Like zooper doopers we called icee's, and are smarties really M&M's? This is amazing! I loved the Smurfs and Gummi Bears and I love that you have the theme songs on your iPod. That Rage show looks like it would have been on at my house all the time. Umm what is Fairy Bread and how do I make it every single day because it looks delish! This is really cool! I love seeing all the stuff that we don't have here. I also love that you call them freckles, I grew up calling them non pareils. I like freckles better! Fairy bread sounds awesome and simple. Tell me more. Well, I grew up a bit earlier than you and we didn't have many TV options at all. I loved the jumprope thing except I never mastered double dutch. Growing up in Europe was almost the same:) Round the twist is my favorite ever TV show (I know, crazy:) but I listen to the song every now and then when I'm in need of remembering happy childhood moments:) Great post! 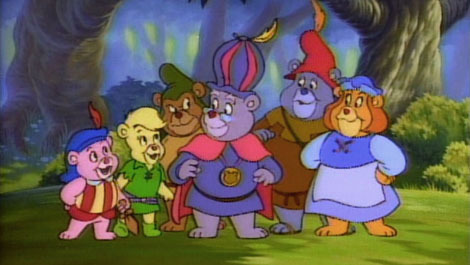 Definitely not familiar with any of this except for the Gummi Bears, loved that show! I loved this. Some similarities, and some things that are only slightly different. We had Saturday morning cartoons, just different ones, and some of the same candy and some of the same candy with different names. Oh and pro tip: Here in NJ we have FRENCH FRIES (they're not chips, dear. Lays makes chips. Sigh. So much to learn ;)) with gravy and mozzarella melted down over the top and call them disco fries. And they are AMAZING. Especially from the diner after a night of drinking. Which is actually a very Jersey thing. But anyway, try adding some cheesy melty mozz goodness to those gravy fries and tell me it's not the best thing your taste buds ever got involved with. That was really cool to see the differences and similarities. I really like the fairy bread! 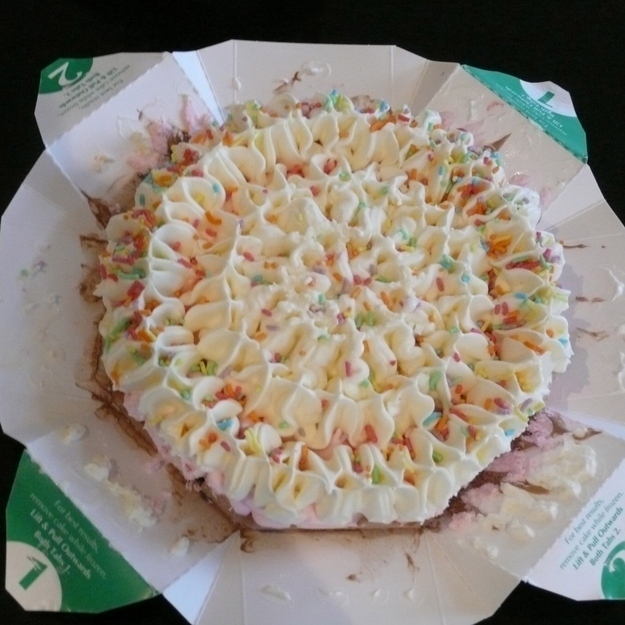 And the ice-cream cake. I have never had an ice cream cake for my bday and I want one! The gravy fries look good too. I like gravy but I don't eat it often and that looks like it would be a good treat! 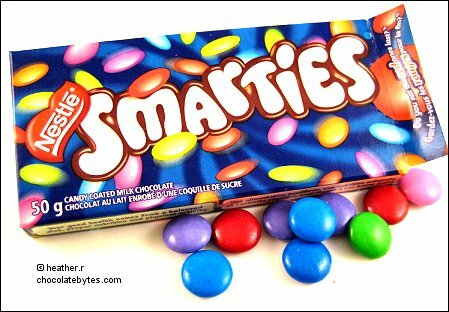 Those Smarties looks way different than the ones we have here! This is awesome and I don't even recognize 99% of the stuff here! Although I am craving a push pop now. I may have to do a similar post for 90's memories! This is a great post, but I don't know what 75% of the stuff on here is. What is that elastic game? And random question but did you ever eat scampi fries? 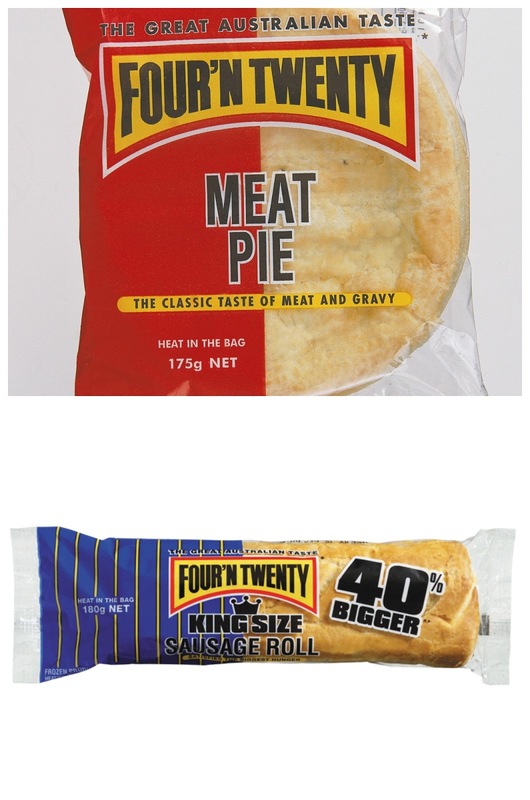 Did they have them in Australia or did you try them in London? For some reason this post reminded me of them and I really want them now! This was awesome!! I had no clue what anything was but it's still awesome! I love learning how different it is to grow up and live in other countries. I'm that annoying person who whenever I meet someone from anywhere other than the USA I ask a billion questions about what it's like to live there etc. So I loved learning what it was like for you in Australia! Ahh!! 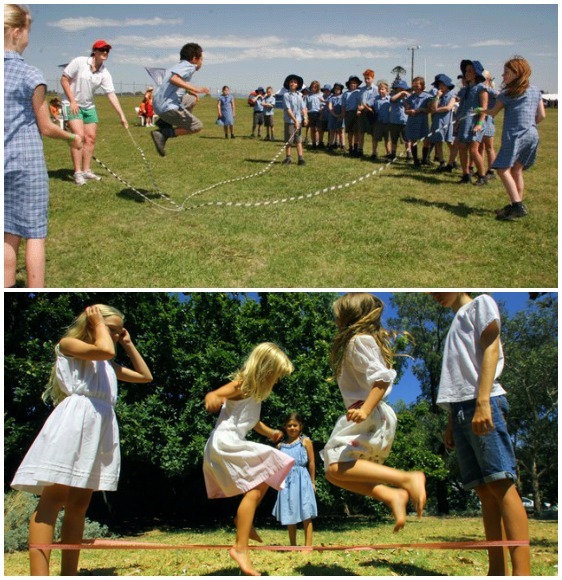 I TOTALLY forgot about that elastics game until this post! I totally need to do one of these! Loved this post! Now I've got the theme song stuck in my head - "Genie genie, from Downundeeeerrrrrrr!". I also remember Ghost Drops that changed the colour of your mouth, I still drink Milo (hot or cold, doesn't matter!) and we ate dry Weet-Bix with peanut butter or butter and vegemite. YUMMO! oh my gosh, ghost drops! yes! lol. and i wish i could still drink milo, but mum sends me some and i devour it in 24 hours - oops! glad we weren't the only ones who did the dry weetbix, yum!